Detective Harriet Blue is in prison. For murder. But now Deputy Police Commissioner Joe Woods is offering her a 'get out of jail free? card.His daughter Tonya and her two-year-old child are missing and he needs Harry?s expertise - and willingness to go outside the law - to find t... read full description below. Detective Harriet Blue is in prison. For murder. But now Deputy Police Commissioner Joe Woods is offering her a 'get out of jail free? card.His daughter Tonya and her two-year-old child are missing and he needs Harry?s expertise - and willingness to go outside the law - to find them, fast.So Harry walks out of the prison gates - and straight into a deadly game. Because although Tonya has a top cop for a father, she also has some dangerous friends. It might have been safer if Harry had stayed inside . . .
James Patterson (Author) JAMES PATTERSON is one of the best-known and biggest-selling writers of all time. His books have sold in excess of 375 million copies worldwide. He is the author of some of the most popular series of the past two decades - the Alex Cross, Women's Murder Club, Detective Michael Bennett and Private novels - and he has written many other number one bestsellers including romance novels and stand-alone thrillers. James is passionate about encouraging children to read. Inspired by his own son who was a reluctant reader, he also writes a range of books for young readers, including the Middle School, I Funny, Treasure Hunters, House of Robots, Confessions, and Maximum Ride series. James has donated millions in grants to independent bookshops and has been the most borrowed author of adult fiction in UK libraries for the past eleven years in a row. He lives in Florida with his wife and son. 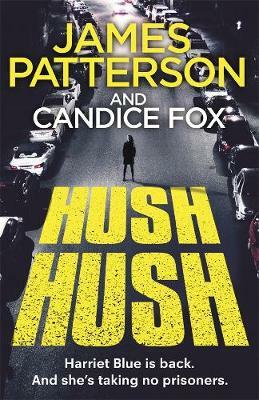 Candice Fox (Author) Hades, Candice Fox's first novel, won the Ned Kelly Award for best debut in 2014 from the Australian Crime Writers Association. The sequel, Eden, won the Ned Kelly Award for best crime novel in 2015, making Candice only the second author to win these accolades back to back. All her subsequent novels - Fall, Crimson Lake and Redemption Point - have been shortlisted for the Ned Kelly Award. Her new novel, Gone by Midnight, will publish in January 2019. In 2015 Candice began collaborating with James Patterson. Their first novel together, Never Never, set in the vast Australian outback, was a huge bestseller in Australia and went straight to number 1 on the New York Times bestseller list in the US and also to the top of the charts in the UK. Its sequel, Fifty Fifty, was released in 2017 and their third collaboration, Liar Liar, in August 2018. They have also co-written a prequel novella, Black & Blue, as part of the James Patterson BookShots series. Bankstown born and bred, Candice lives in Sydney.